i. GEORGE HERBERT CONE b. November 18, 1864, Ashley Downs; Occupation: Butcher; d. October 11, 1944, Christchurch; Burial: Bromley Cemetery Christchurch m. AGNES EMMA PALMER, November 10, 1892, Christchurch; b. May 16, 1866, Christchurch; d. January 14, 1935, Christchurch. ii. FREDERICK WILLIAM was born July 08, 1866 in Ashley Bank, Rangiora; Baptism: August 26, 1866; Occupation: Saddler and harnessmaker; Orchardist and died June 15, 1938 in Christchurch. Burial: Waimairi Cemetery Block He married HELEN (NELLIE) BOWIE WILSON April 25, 1888 in Presbyterian Church, Kaiapoi, daughter of ROBERT WILSON and JANE MCKIE. She was born August 19, 1867 in Kaiapoi, and died November 01, 1936 in Christchurch. iii. ELLEN (ELLIE) SARAH CONE b. April 09, 1868, Ashley Bank, Rangiora; d. December 29, 1939, Christchurch Public Hospital from 56 Ivory Street, Rangiora; Buried at Rangiora; m. CHARLES (CHARLIE) WALTER ELLIOTT, December 26, 1896, Parish Church, Rangiora; b. Abt. 1860, Portsmouth, England; d. August 03, 1942, Rangiora Hospital from 56 Ivory Street residence. iv. ISABELLA MARION CONE, b. July 24, 1869, Rangiora; d. March 03, 1880, Rangiora. v. SARAH ANN CONE, b. November 12, 1870, Rangiora; d. November 29, 1872, Rangiora. vi. EDITH AMELIA CONE b. August 16, 1872, Rangiora; d. December 27, 1955, Auckland where she is buried; m. JAMES ALEXANDER CUNNINGHAM, June 11, 1903, Residence of George Cone, Cone Street, Rangiora; b. June 20, 1871, Dunedin, Otago; Occupation: Coal merchant d. November 12, 1935, Christchurch. i. ELLEN (NELLIE) MATILDA PURSEY b. August 11, 1863, Mt Grey Downs, Rangiora; d. August 14, 1936, Petrie St, Richmond, Christchurch; buried Rangiora; m. JOSEPH ALFRED TUER, December 31, 1885, At the house of Thomas William Pursey, Ashley; b. 1858, America; d. October 24, 1899, Rangiora. ii. ANNIE LOUISA PURSEY b. 1866, Ashley, Rangiora; d. January 17, 1941, Thorneycroft St, Christchurch; Burial: Waimairi Cemetery, Burnside; m. PETER IVERACH, September 16, 1886; b. January 12, 1856, Olrig, Caithness, Scotland; Occupation: Blacksmith Ashley; Waiau; d. April 24, 1940, St George's Hospital, Christchurch. iii. GEORGE WILLIAM PURSEY, b. Abt. 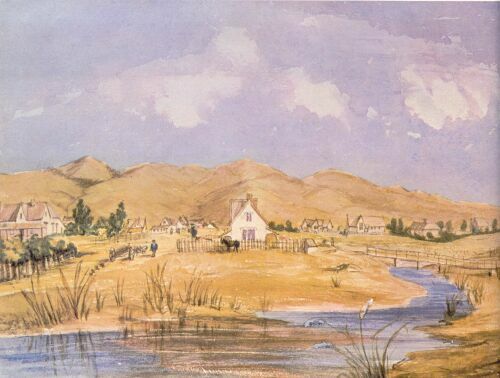 1867, Rangiora; d. November 07, 1873, Moeraki Downs, Ashley Bank. iv. EMILY ANN (ANNIE) PURSEY b. November 11, 1870, Ashley Bank, Rangiora; d. September 19, 1949, Rangiora where she is buried; m. MOSES THOMAS WATERS, August 04, 1892, Residence of T W Pursey, Ashley; b. November 26, 1862, Kent, England; d. March 11, 1953, Rangiora. vii.EDITH AMELIA PURSEY b. 1875, Ashley, Rangiora; d. October 20, 1937, Fernside Christchurch; m. OLIVER DIMMACK CATCHPOLE, December 1926; b. April 15, 1883, Woodend, Canterbury; Occupation: Blacksmith d. September 13, 1956, Fernside Christchurch. viii. PRISCILLA SARAH (CILLA) PURSEY b. 1879, Ashley Bank, Rangiora; d. 1926, Fernside Christchurch; m. OLIVER DIMMACK CATCHPOLE, December 30, 1908, Methodist Church, Rangiora; b. April 15, 1883, Woodend, Canterbury; d. September 13, 1956, Fernside Christchurch. v. CHARLES CONE born December 1846, Aldham; died aged 13 months on January 1848, Aldham. He was buried January 03, 1848, Aldham, Suffolk with his mother.